Put Me In The Story Makes The Perfect Gift! You are here: Home / Sponsored / Put Me In The Story Makes The Perfect Gift! Put Me In The Story contacted me and asked if I would be interested in trying out one of their books and sharing my thoughts with you. I thought “what a fun idea” and with the holidays coming up it might make for a great gift. So, I agreed to have them send me a book in exchange for sharing my opinion with you. It was a very fast process, too. The longest part was me deciding on the images. So, it starts with you filling out a few items for the making of the book. I entered the recipients name, uploaded a couple of pictures of her, and then added a short inscription. Again, I was thinking what a fun idea, I was excited to get it – more curious than anything. I chose to have this made up for our 18 month old granddaughter because it was a Disney Princess book and her parents are SOOOOOO very much Disney fans. She almost has all of the Princess movies already. BUT…. when it arrived, I was pretty blown away! It was large and BEAUTIFUL. The images of her fit perfectly and were so adorable! This book has her name throughout, as well as the images I uploaded. But, it’s not a just a book you read and put away. 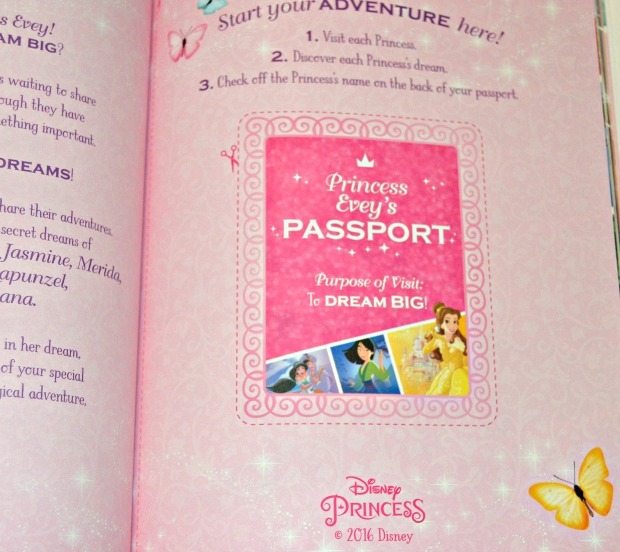 It’s actually interactive, in that, there is a passport for her to visit each Princess throughout the book and learn their dreams and then check each one off as they finish. I seriously love the story idea, the beauty of the actual product, and the fact that they didn’t just put one image in and her name in a place or two – they immersed her into this book. Her mother and father loved it, they are pregnant with their 2nd daughter and her mother can’t wait to get one for her, as well! 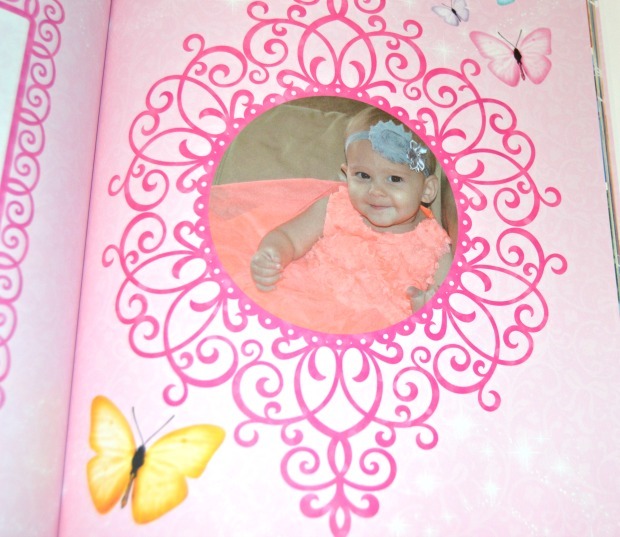 I think these books would be a perfect gift for any occasion as well as a beautiful keepsake! 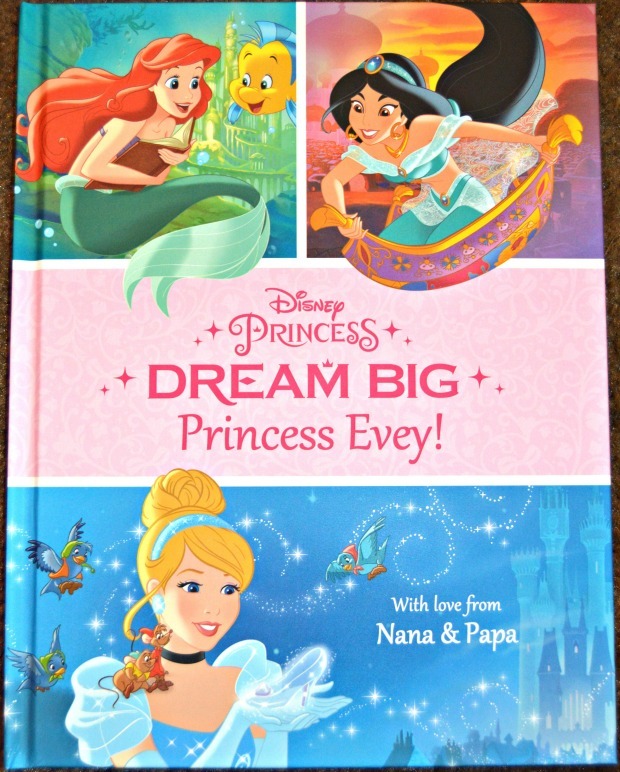 Get ready to DREAM BIG with your little princess! Families can now explore the stories of the 11 Disney Princesses as they share their adventures and dreams with Disney’s Dream Big Princess book by Put Me In The Story, the #1 personalized books site in the U.S. 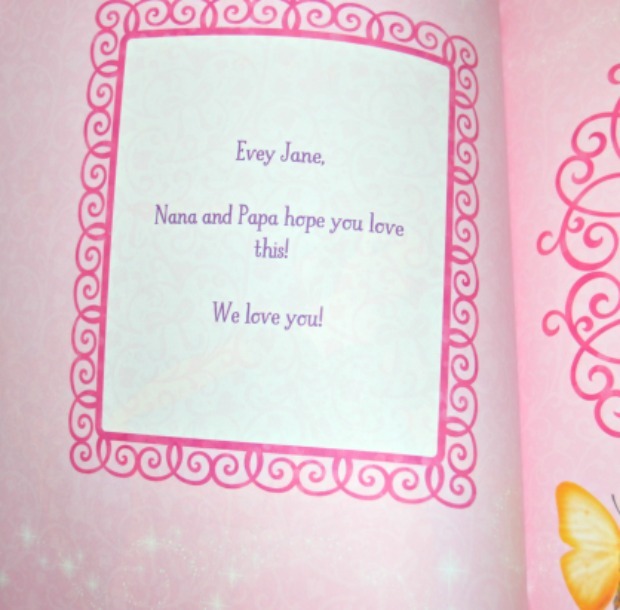 Greeted with a personalized letter and Princess Passport, little readers can check off the back of their passport when they meet each princess throughout the book. Whether readers are filling in their own dream restaurant’s menu alongside Tiana’s or discovering treasures like Ariel, your child will learn that being a princess is more than just princes and castles…it’s about being brave, honorable, kind, and hardworking. Your little reader is encouraged to write, draw, and imagine all the things they can be, led by the adventurous, independent, and ever faithful Disney Princesses!